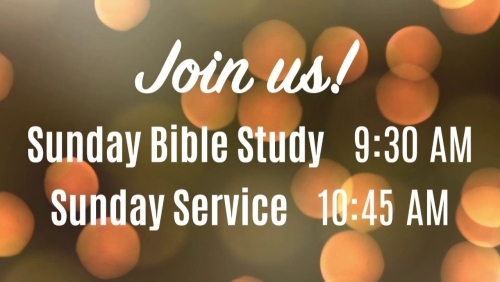 I produced this video, narrated by Pastor Dr. Bill Gernenz, inviting everyone to attend a church service at First Baptist Church of Blanco, Texas. This is cut from a video I previously produced for the opening of the newly remodeled sanctuary. In that video, Pastor Dr. Bill Gernenz thanked the congregation, praise team, Blanco ISD, and everyone who helped during the sanctuary renovation project. Dr. Bill also invited everyone to come to a worship service. 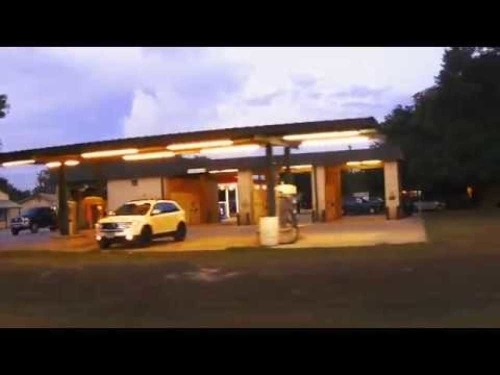 A quick little video that I shot while driving around Blanco one evening. The Byars Building, an historic home on the courthouse square in Blanco, Texas, was once home to the telephone switchboard (and home to the family who operated the equipment). The home has been restored by the City of Blanco and is now used for city council meetings and municipal court. Using the newspaper archives at the Community History Archive, I researched the history of the telephone system in our small town. I also included contextual history about how telephone systems worked through the years – from switchboards to dial systems. 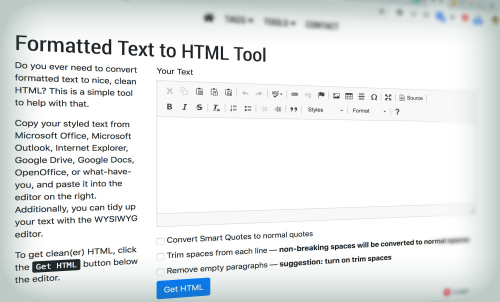 Do you ever need to convert formatted text to nice, clean HTML? I've created a simple tool to help with that.